One last throwback post to when I was the Houston Barbecue Examiner. Who wants a burger? Sure there is a fast food restaurant on every corner, and yes they happen to serve burgers, but why get something to eat there when this great city has so much to offer? Taking a minute to veer off the beaten path, will to help to locate some of the city’s hidden treasures. 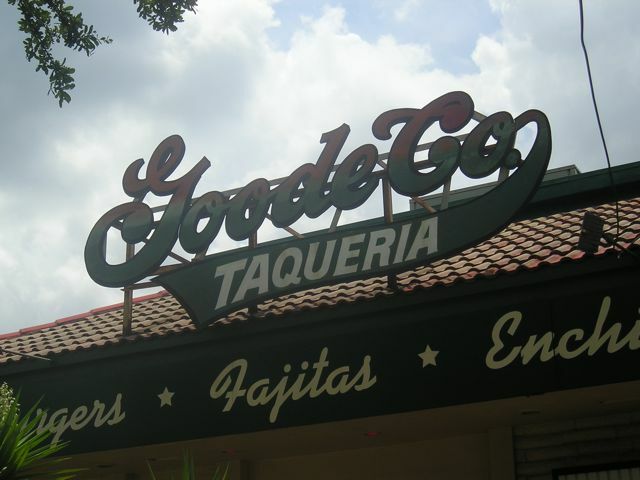 Goode Company has been around for over thirty years, always serving up great food, whether it be barbecue, seafood, or fajitas. At Goode Company Hamburgers and Taqueria, they have some of the best hamburgers I have ever found. The menu is extensive and sure to please the entire family, especially the burgers. They are all beef patties, either 1/3 or 2/3 pounds in size. They even offer a chicken burger. And the topping combinations are endless. Try a burger with mozzarella, Canadian bacon, and guacamole or maybe one with jalapeños, mushrooms, and bacon. As always, with any Goode Company restaurant, be sure to try the latest seasonal offering from the St. Arnold Brewing Company. Christian’s Tailgate is one of those places that is just simply inviting. It is not rustic, but simple. The restaurant relies on the food, not as much as on the décor, which is something I find more inviting. The restaurant invites people to come in as they are. The burgers are huge, and well priced. A word of caution though, the double is something to consider splitting with a friend. These burgers are well cooked, well seasoned, and drip grease back into the basket of fries, adding to the experience, and to the food. 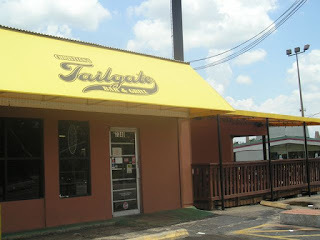 **Edit: The location shown, which was the original incarnation of Christian's Tailgate, has sadly closed. 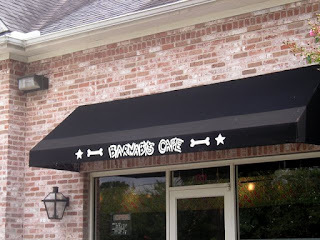 Barnaby’s Café is one of those places the customers feel invited to bring a book and hang out on the patio. The menu is extremely extensive, ranging from salads, to sandwiches, to steak, ribs, chicken, and seafood, to burgers. The burgers are absolutely amazing, ranging from simple plain burgers, to Boca burgers. The highlight of the burger menu is the Green Chile Cheese Burger, which boasts a whole chile and pepper jack cheese. These flavors come together with the beef on a honey sweet wheat bun, and knock it out of the park. Along with the homemade lemonade and the daily pie and cake offerings, Barnaby’s Café is a must try. See their website for other locations.